Assistant director Arun Utrapathy talks about his journey in an interview with Express. Why filmmaking? How did your journey begin? While growing up, films always served as my quick getaway and my passion for filmmaking was born from that. After completing my engineering, I became a student reporter at Ananda Vikatan and frequently wrote about films. As I was serious about assisting a director, I asked around for the best person to work with, and Lingusamy’s name frequently came up. I knew Raju Murugan, as I was his junior at Ananda Vikatan, and he told me about an opening in the Lingusamy camp. I applied, and subsequently, joined. What do you like about Lingusamy? I love his attitude of taking everything as it comes. I also love the fact that he is democratic about the whole suggestion process and is always open to new ideas, whoever it may come from. Shankar, because even as a child, his films were my favourites. What’s the oddest or most memorable thing you have seen or done as an assistant director? We were shooting a few action sequences of Anjaan in Goa. Suriya has this remarkable quality where he gets into the skin of the character so much that he becomes the character. While performing a stunt, he injured his leg. The injury was serious and for a month he had to use the aid of a stick, just like in the film. This was memorable because of two reasons. One, it shows his level of commitment. Second, people sometimes lose it when they get injured and blame others for it. But Suriya did neither and was calm about the whole incident. 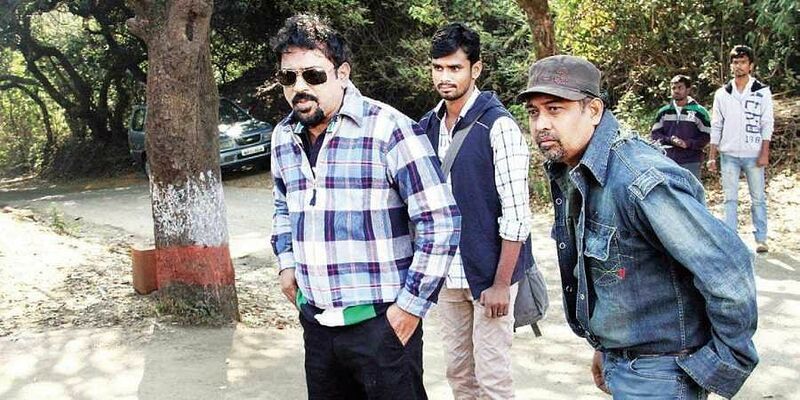 I was starstruck when I witnessed the work of Santosh Sivan. In fact, one of the toughest tasks that we have faced was keeping up with his pace and standards of perfection. Implementation of regulatory control for ticket pricing. Audiences nowadays have various alternatives to watching films in theatres and they have adopted these alternatives. With proper regulation of ticket prices in place, I’m sure theatres will see better seat occupancies. I want to make commercial films that use minimal characters, but make full use of those characters. I would ensure that characters which serve no purpose are not included in my films. What’s the dream cast of your debut film? Vijay. He is one actor every commercial filmmaker would like to work with. He has all the requisites of a bankable commercial actor; you name it and he has it.